12 country bungalows to escape the hustle and bustle of the city Would you consider living in the country? Do you want to stay away from the hubbub and flee to a place where people have enough comfortable space, enough fresh breathable air, and enough time to just sit back and relax? 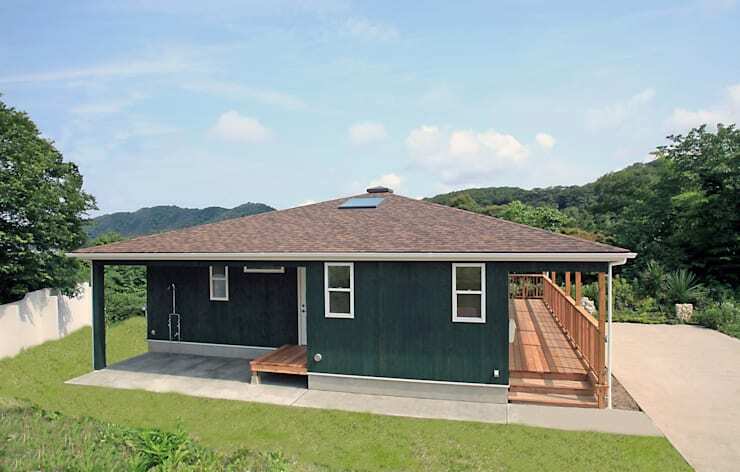 If you are eager to live in the country, then you may opt for a rustic bungalow as your home. Here you'll find 12 of Homify's top picks on the most comfortable bungalows; guaranteed to take you away from the hubbub of the bustling city. 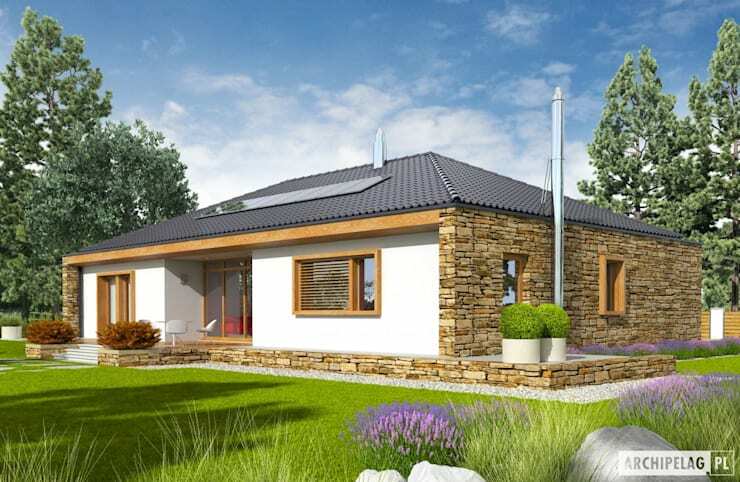 These designs will allow you to feel closer to the natural environment as you slowly return to a simpler home life. 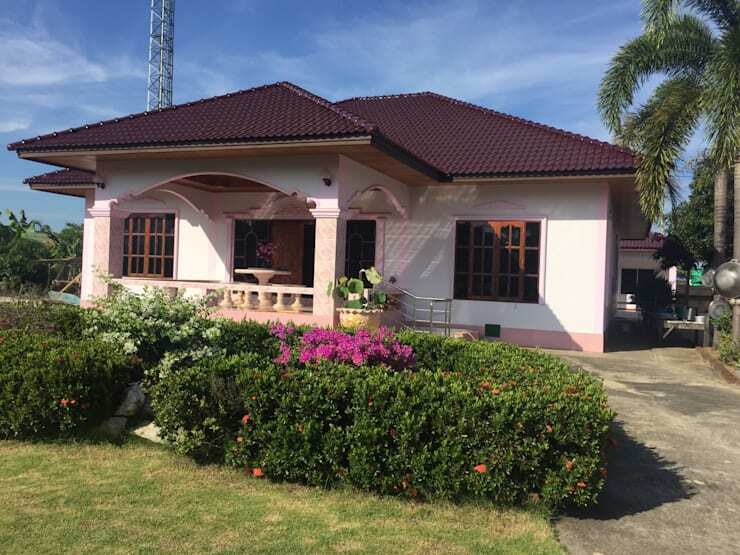 Pink is not a common colour for the external walls, but the experts chose to make use of a light pink as an accent colour so that the appearance of the house will have a dainty taste. The front porch opens up to a grand entrance door. The overall vibe of the house gives a strong holiday atmosphere. 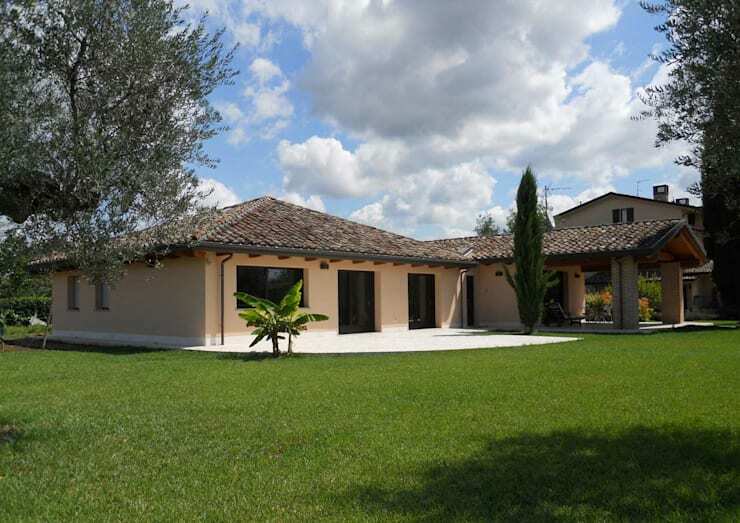 The grey roof tiles with white walls and wood details give this villa a stylish and classic appearance. 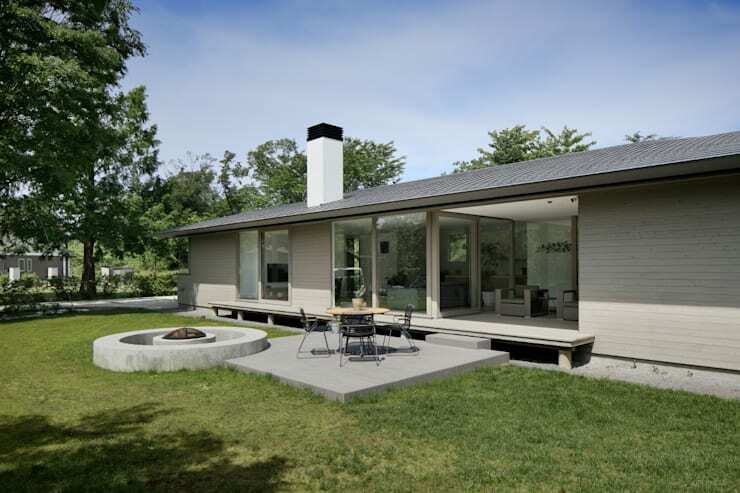 There is that simple sophistication to how this bungalow is designed. Next on the list is this mobile bungalow that can be transported to wherever it is you want to live in. You can even occasionally move from state to state if you wanted to. 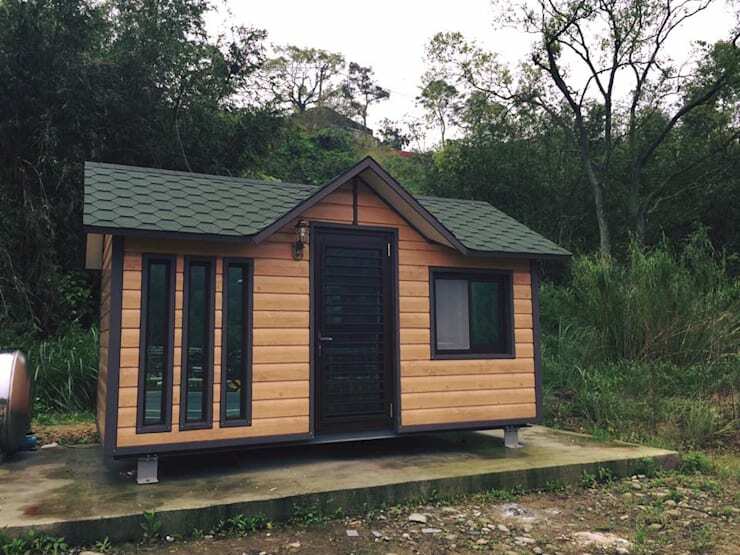 It is a cool and practical choice of home for those who do not mind living in a small home because nature and adventure awaits them. Red terracotta roof tiles and wood log beams and pillars against a modern white flat-roofed home brings a strong pastoral style vibe. The fusion of two different styles give this home a very unique look. The white concrete wall beautifully highlights the stone brick details along the side and the base of this home. 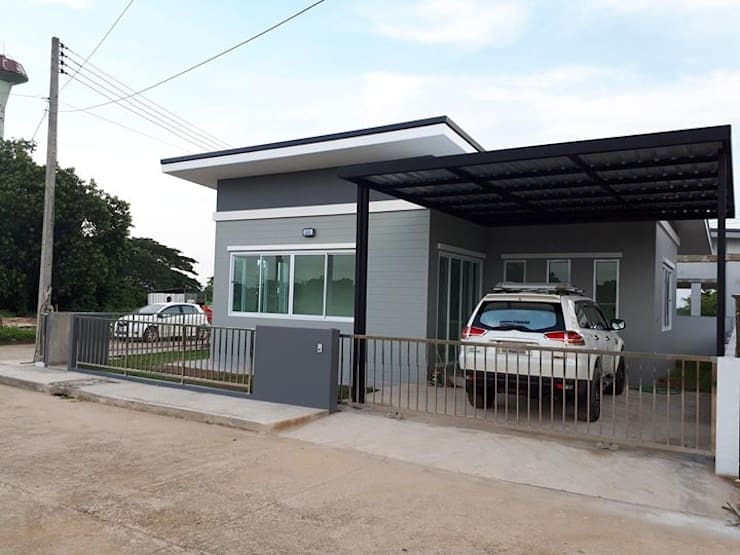 A quaint and modern designed home with large lawns and a patio where the homeowner can have a good time outdoors. Having a midnight blue exterior can be very eye-catching, but for this home, it is toned down by the warmth of the wood, making it appealing and less exaggerated. The wood terrace graces the landscape, providing that wonderful escape that is closer to nature. This cottage with a dark green facade looks outstanding in the midst of it's natural surroundings. Its large roof and wood cloister are some of its unique features. 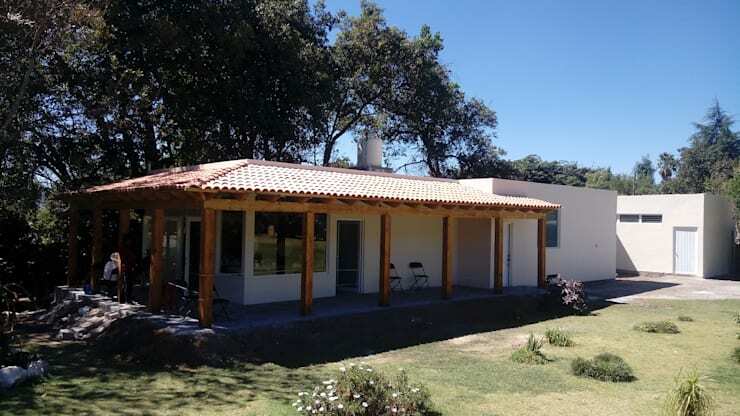 This mediterranean style bungalow provides a bright and spacious home. A rustic elegance that will fit beautifully in tropical countries. 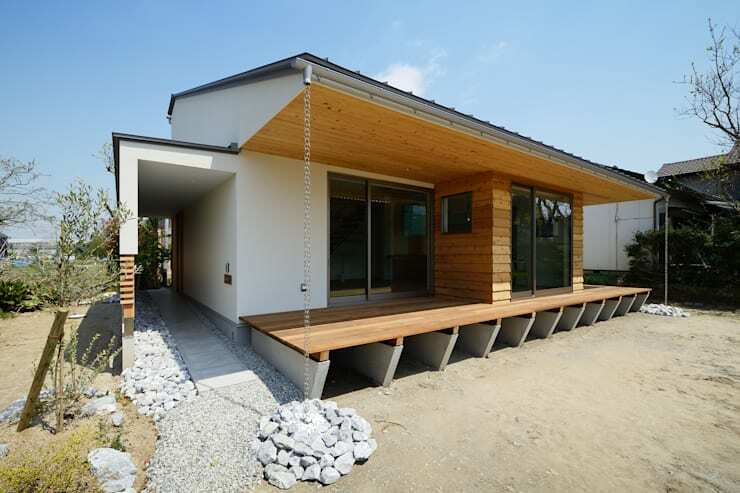 This monochromatic coloured bungalow gives a sense of serenity. It has large tracts of glass windows that fill in the space with plenty of natural light. 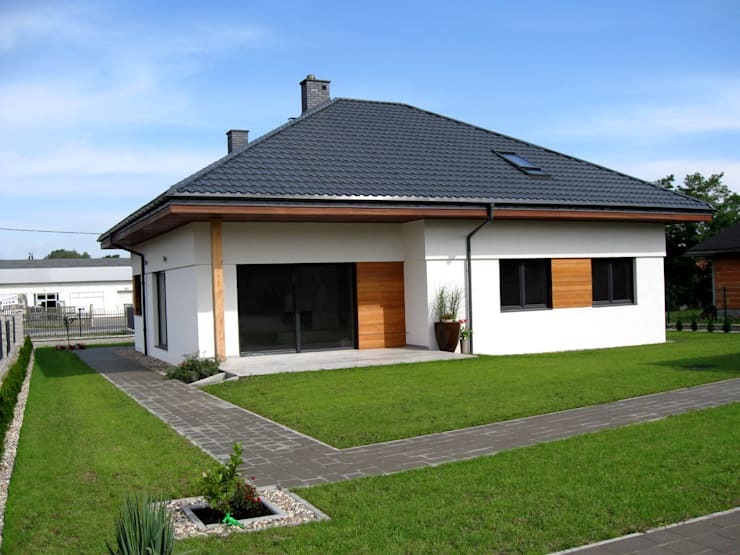 A simple and modern bungalow with a garage has a very convenient design that can easily be adopted. The use of soft coloured brown tones and white walls give a refreshing atmosphere to this hime. 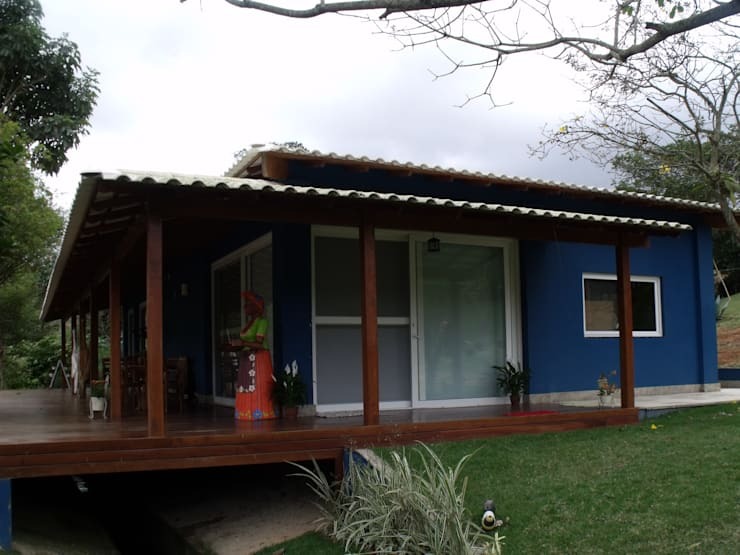 It has an unusual architectural design for the roof and a nice wooden lounge deck. The combination of wood and stone materials create a very warm and natural atmosphere. 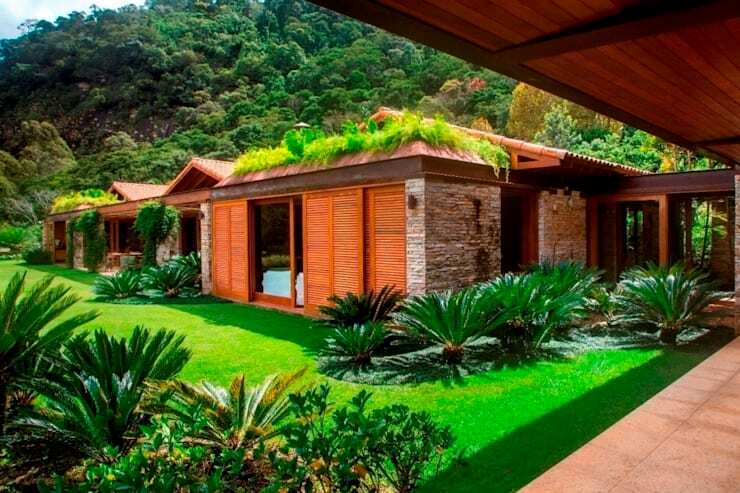 Adding in foliage to the roof and surroundings make this home a beautiful oasis.